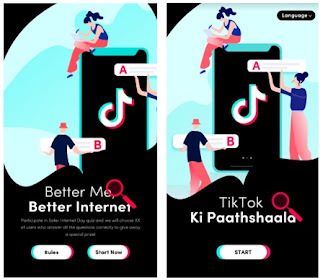 In support of this year’s Safer Internet Day (SID), TikTok, the world's leading short video platform, launches #SafeHumSafeInternet, an India specific campaign as part of TikTok's global #BetterMeBetterInternet initiative. 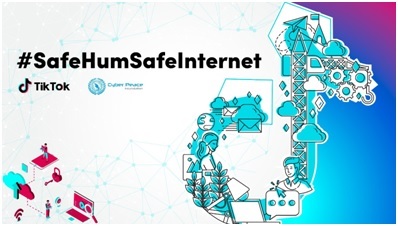 Many popular Indian celebrities and TikTok users such as Arjun Kanungo, Shirley Setia, Neha Kakkar and Tamil TechGurujiamongst others also joined the #SafeHumSafeInternet initiative by creating and publishing short videos on TikTok promoting Safer Internet Day, encouraging users to be safe and sharing tips on how users can practice online safety. Promoting a safe and positive app environment is TikTok's top priority, and it has a number of measures in place today to protect against misuse. These include privacy settings, filters, in-app reporting, and moderation.